Melbourne, you love your crêpes. So much so that La Petite Crêperie has opened another outlet, this time in the centrally located QV Square. 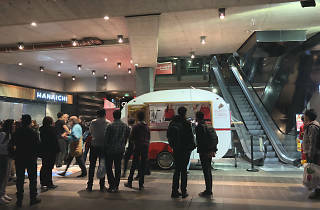 In true LPC fashion, the new store is being run out of a another unconventional shopfront, this time a vintage French caravan, which has been dubbed ‘Lucile’. While you’ll still be able to get all your “arrogantly French” crêpe favourites at the new outlet, you’ll also be able to purchase French waffles. The waffles have previously only been available at LPC’s Westfield Knox store, so it’s no doubt a relief to waffle fans who couldn’t travel outside the city. La Petite Crêperie is trying something different at the QV store and are allowing guests to make their own crêpe and waffle flavour combinations. 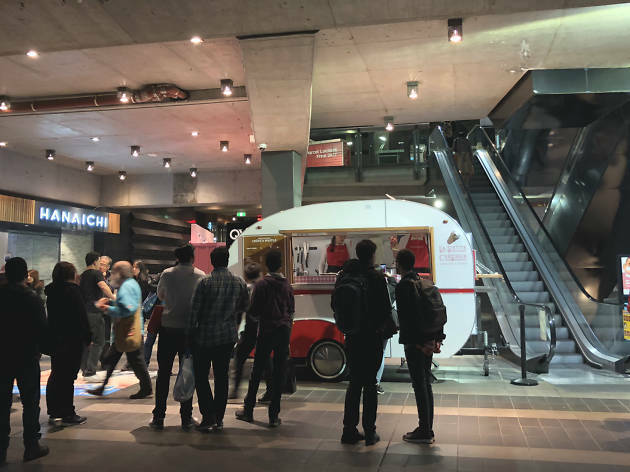 You’ll still be able to get the best flavours from the Swanston Street store (like Nutella, salted caramel and good old-fashioned sugar and butter) as well as have the option to get creative and build your own flavours. Whipped cream is being introduced as a topping, as is ice cream for waffles. You’ll also be able to get a hot, rich cup of European-style Fraus hot chocolate.